Our future draws on our past. The intended opening hook for The Curmudgeon Code Kickstarter publish-it campaign (a work in progress). “I thought you did a great job writing and editing it! It was a very interesting look at the future, for sure! I certainly started drawing the same conclusions as Joshua (ed. 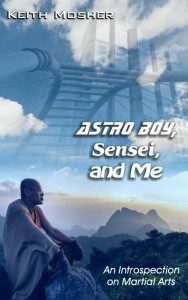 main character) as I read – where is the motivation to evolve, and what serves as a driving force to create if everything is just created and handed to you? Where is the pride of authorship if someone (or something) actually guided your hand through most of it? The Curmudgeon Code is my second novel, slated to be released in late 2015. It is my hope to have it released in all novel formats: hardbound, paperback, ebook, and audio book. This page presents posts or information that relates to The Curmudgeon Code. 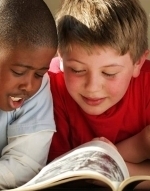 The Curmudgeon Code Kickstater Let’s Publish It Campaign will launch Sept. 1, 2015. You get an early look at the opening video right here. Mark your calendar and be ready to view the full Kickstarter page to get all the details and how you can earn a reward. Yesterday I was asked how the writing on my new book, The Curmudgeon Code, was going. It made me realize that I have been a bit silent in recent months. It is time for a status update. The novel is written and, for all intent and purposes, is completed. I am working on the audio book version. I find this process, while laborious, to be very helpful. There is advantage in being able to sit back detached from the act of writing and hear the story. It highlights weak points, and shines light on subtle ideas that might be enhanced. At this time, the narration has been recorded and edited, as have all the character voices, dialogs and monologs. As such the text of the book is essentially nailed down, though I am giving myself the opportunity to make changes if, as I continue to work the audio book, I run across something I feel must be changed. 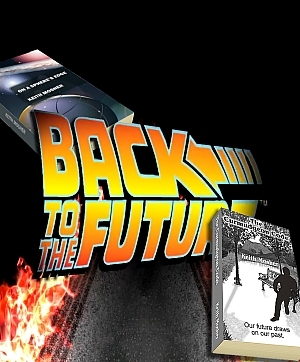 I am enhancing the audio book experience with sound effects and music backgrounds. Not only will this provide a more engaging experience, it gives me another opportunity to run through the novel page by page, line by line, but more importantly concept by concept. At this time chapters one to eleven are complete and in the can. There are 19 chapters total, leaving seven more to go for background effects. Given my recent pace with this task, I predict completion no later than mid-September. Once the audio book is finalized, I plan a Kickstarter campaign to raise the capital for publication. The Kickstarter will be brief, no more than 60 days, probably 30 or 45 days. It will either succeed or not. 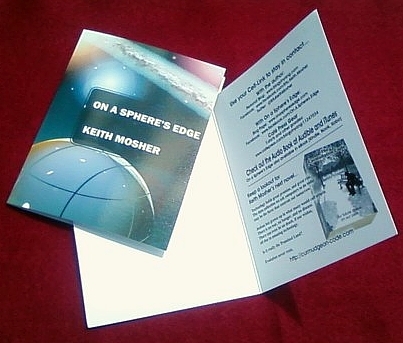 Its success will result in a more robust printing and advertising approach than I had for On a Sphere’s Edge. If the Kickstarter is not successful, then I will resort to a more limited publication process, which may involve a little time spent collecting the personal capital needed for such a printing. 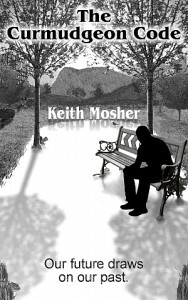 If all goes well, the novel may be released well before Christmas. If not, it will be released shortly after the New Year. I have just returned from my first official book-signing event. It was quite a thing. If you are thinking throngs of people, with lots of hubbub and noise, think again. It was a sedate and pleasant experience. Fiction Addiction is an independent bookstore in the upstate. Being rather clever people, on or around Independence Day they hold a book-signing event for Independent (self-publishing) authors to celebrate them and independent bookstores. I suppose Christmas or some other gift related holiday would work as well for driving customers, but I think you get the “Independence” thing. 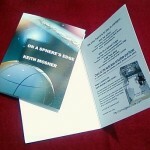 As On a Sphere’s Edge is my first published novel, this event was a first for me. I had no idea what to expect. Being a grumpy old curmudgeon with almost overwhelming social anxiety, I had concerns about fitting in, saying or doing stupid things or blowing it in some fashion. However, I navigated my nerves, put on my “go forward” martial arts instructor persona, and everything turned out fine and dandy. The Fiction Addiction shop where the event was held is a wonderful, old world bookstore. Not the big, ten-thousand square-foot national chain sort of venue, but a nice, spacious, homey, community bookstore with everything from comic books to DIY, mysteries, sci-fi, and every other sort of print you can imagine, including used books and a Children’s section with a reading room. Perhaps the stocks are small due to the limited space, but the selection is varied. Jill Hendrix was my contact person, and was there working the store when I arrived. She was gracious and helpful to say the least. I was scheduled to be with two other local, independent authors. There was Mary Lash, author of The Desert Murders, a true tale of a man convicted of several murders in Arizona – murders he did not commit, and Rick Veal, author of Jennifer’s Ghost, a South Carolina, down-home ghost tale. I wondered how I would fit in with other authors, especially these two as they both have more than one novel with their by-name. Much to my surprise, we seemed to hit it off pretty well, the larger parts of our discussions concerned with publishing and marketing. One can take so many trails these days. Is the goal profit, reach, or freedom driven? Do you want to stock and self-sell, or make a virtual world presence? I gained some new insights, and hopefully made some new network connections. Oh, and if you were wondering, yes there were customers in and out of the shop, and some public connections were made as well. That is one down, with hopefully many more ahead. It was quite an enjoyable experience. I had some cards produced for my book signing at Fiction Addiction on July 3. It is all part of the promotion game. Indie/Self-publishing is a wonderful thing. It isn’t as new as you might think. L. Frank Baum self-published The Wonderful Wizard of Oz. Of course, back in the year 1900, publishing required a press. Baum contracted the George M. Hill Company to print the pages and hand-assembled the first copy himself, and probably many others I expect. These days, with Print-On-Demand and E-Book services, self-publishing has become a lot easier with respect to the production of the print itself. However, advertising and promoting is entirely up to the author unless one is able to spend fortunes to hire companies to carry that load. Most indie-authors are not in that position. Add to that the dwindling presence of bookstores and the task gets harder. You may not be aware, but the brick-and-mortar bookstore is becoming a thing of the past. I did an extensive search and found only 20 books stores in all of South Carolina. When I contacted them about carrying my book or a book signing event, 5 or so were in the process of closing their doors forever, and an equal number never replied back, suggesting they may have already closed. There is no need to discuss bookstore chains, of which there are few and which require negotiations with buyers, stocking fees, and other hurtles. Fortunately, I found a bookstore in my state that is not only in operation, but is willing to do a book signing. It is a yearly event they host specifically for indie-authors. I couldn’t be more grateful. The insert card provides avenues to contact me, as well as a heads-up for my next novel. The card will go in any sold books of course, though generally I consider these cards a freebie-giveaway to call attention to On a Sphere’s Edge and The Curmudgeon Code. Given the fading away of the local bookstore, the indie-author has to come up with ways of promoting their work in the global marketplace. The little fish have to swim in the deepest waters. The insert card is another lure in my tackle box. It has taken months. Grueling months of very long, very late night work. 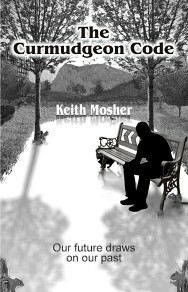 I have finally finished all of the vocal recording and editing for my new novel, The Curmudgeon Code. The audio book vocal recording served a dual purpose. The obvious is the base for the audio book version itself. The less obvious, but far more beneficial, was a final editing process. In that regard, the work has paid off very well. Many critical tweaks were discovered during the recording. William Faulkner said, “In writing, you must kill all your darlings.” Hosts of personal favorites are now on the scrape pile. 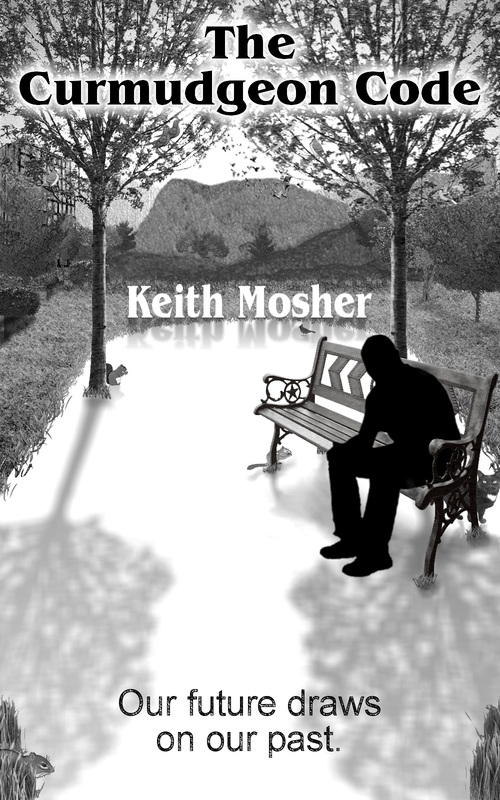 I am pleased with the vocal work, including the character voices. I’m not a mimic with an awesome ability to generate many vocal qualities. I’m just an old guy with a desire to make the audio book experience captivating. With characters ranging from very old to very young, male and female, with heart and some very heartless, I put huge demands on myself. 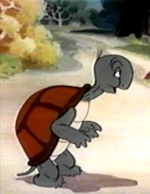 Still, slow and steady like Cecil the Tortoise, I persevered. The work isn’t done. Sound effects are next, though that should be a short and easy task. Then the musical backgrounds which may prove as difficult as the vocal work. Once that is complete, a Kickstarter campaign to act as a pre-order process to raise the capital for publishing. I plod on, one-step at a time, though the finish line is now in sight. 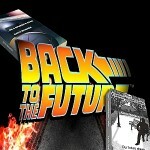 Sometimes I feel like Marty McFly, zooming back to things past in order to build a base for the future. Sometimes it feels more like wheel spinning than going. I am in the thick of the audio book production for The Curmudgeon Code. It is a fascinating work, even if I have to say so myself. The audio book exposed some wonderful elements, which I have gone back and highlighted, truly rounding out the work. Writing often takes on a life of its own. Meanwhile, I have to keep promoting and marketing On a Sphere’s Edge. It is a never-ending process. How to divide the time becomes an issue. Do I spend more time reading, writing, and posting on a book that is already in print in order to get my presence as an author known, or do I spend more time working on the next book? Throw it into reverse, lay some rubber, and then jam it into drive again. Everything I read says it is all about time. Either you have a million dollars in your pocket so you can spend far more on advertising than the book will ever make in sales, or you have to allow things to happen over time. Time, McFly’s evil nemesis. Speaking of time, as often happens with writers, a sentence came to me the other day, but I had no place to put it. However, it does somewhat relate here. ‘Time buries all things, deeds as well as dreams.’ Okay, a bit of a downer, maybe this isn’t the best place for it, but what the heck. Well, that is enough time rolling back to the past. 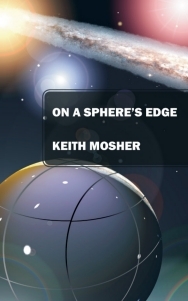 Buy my book, On a Sphere’s Edge. If you want a signed copy, contact me. The Curmudgeon Code is calling. I need to get back to the future. As I write this, it is Boxing Day. We do not celebrate Boxing Day in the U.S., but perhaps we should. Boxing day is December 26th, the day after Christmas, which is good. Brittan, Canada, Hong Kong, India, and many others, I’m no liar. Christmas was a hectic time for peasants. Members of the elite sat back and relaxed on Christmas. They spent the day with family and friends, feast and open presents. But someone gathered together the presents that they give. They wrap them, and strap them, and make the bows live. Someone puts up the tree and prepares the roast beast. Someone clears the table and cleans up from the feast. washes the dishes and picks up the wrappings. there were weekly and monthly servants that the elite must abide. the guru that helps you to lose all that weight. and the great hall vacuumer. So once each year these souls were given a break. the servants were allowed to stop from the run. It was their day off, and time for some fun. small boxes of cash, and hence the Boxing Day of the present. Of course it is different in our modern ways. Most clerks are back in the shop on Boxing Day. Servants still clean, and toil, and sweat. Boxing Day is another work day spent. so sits my current book, The Curmudgeon Code, born from “The Curmudgeon Effect”. I have been working on it for quite some time. which will take many months, should I not shirk. Indeed, it is certain four eyes are better than two. Are you interested to help with this task? You won’t become famous. There’s no money included. Perhaps a small trinket, no more is alluded. Well, enough of this Seussian rhyme. I’ll write with my own voice for the rest of the time. As the New Year arrives, I have two goals. 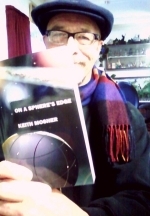 One is to get On a Sphere’s Edge in paperback. I will work on that for the next few weeks. The other is to get my next novel out later in 2015. My goal with my new book is to release it in all formats at the same time; hardbound, paperback, ebook, and audio book. The audio work; recording the text, acting the dialogs, working on the sound effects and music, will be my final editing process. I’ve gone through several edits and proof reads, of course, but there is at least this one more to go. What would be nice would be some additional proofreaders. Four eyes are better than two. So, if you would like to read my manuscript, and make any notes on things you notice, I would appreciate that. I’ll get you a paperback copy when it comes out in print, or a coffee mug, or some other trinket for your troubles. The story is a futurist one. I suppose you could call it science fiction. There certainly is a great deal of science and a great deal of fiction in it. But it isn’t all spaceships and laser battles. In fact, there isn’t a single spaceship or blaster in it. It is about Artificial Intelligence, and consciousness, and thoughts about self-awareness, as well as art and love. You can see the cover, the tag line, and the prologue, right here. If you would be interested in reading my manuscript and giving me your notes on misspellings and confusing sentences, I would appreciate it. Use the form below to let me know. I’ll get you a PDF version. I would like to proofread your new manuscript.